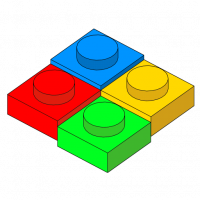 This discussion is for a list of LEGO User Groups, organised by region. Initially lets keep it to 'real-world' groups. ^ Thanks, we very well might, but I kind of like watching the list build up for now to get a good idea of what representation we have here. There are two more active LUGs I know. @davee123: Thanks, that list of active LUGs is more what I wanted than the lugnet map. I won't add that list in it's entirety yet, since it's nice to see what LUGs are present and accounted for, but ultimately we'll round out the list and that definitely looks like a good basis. I agree with @rocao that I'd like to see how many lugs we actually have represented here in the forum. But the info above is great. Actually-- you know what might be nice is some stats on clubs. How many members do you have and how long has your club been around? Or, since that's sometimes a fuzzy area, approximately how many different people in your club have attended a meeting or event held by your club? Oftentimes, I'm not sure if a club is just a handful of 6 or so people or if it's a huge 50+ member deal. I know the reason a lot of clubs faded out was that they only had 1 or 2 "core" members who either relocated or stopped being as into the hobby. Hence, the club sorta falls off the radar and goes defunct. NELUG has about 60 members, about 40 of whom have attended events or meetings in the last year, and we've been around for almost 12 years. As an Ambassador, I already had that list immediately to hand (with all the associated web links too), but had decided not to publish it here immediately; the idea was to get members to provide info on the LUGs they had direct knowledge of, to promote engagement in this discussion, so we could get some feel for what the spread of membership of real-world LUGs is like in the membership here. the idea was to get members to provide info on the LUGs they had direct knowledge of, to promote engagement in this discussion, so we could get some feel for what the spread of membership of real-world LUGs is like in the membership here. I realized this... eventually... but not until after I (and others) had already deleted some posts where people stood to be recognized. If yours was a post that got deleted, feel free to comment again and please excuse my empty-headedness. I am with PennLUG. I know several of our members visit your site regularly. I can confirm Brick.ie in Ireland is alive and as noted above we're on the ambassadors list. By the way, I'm not a member (yet? ), but I know they do exist and I went to "Brick Mania" they organized last WE. Know that it is mentioned up top but I am a member of ILUGNY, the LEGO Users Group of New York. We are relatively new on the scene as it seems that the great State of New York has either been without a functioning LUG for a long time or has never had a functioning LUG. I know that others have tried for NYC and for North Central NY but they are either now defunct or not too active. ILUGNY is a growing group of about 15 members right now. We formed in 2010 with our 1st public, group display being Maker Faire NY in September/October of last year. 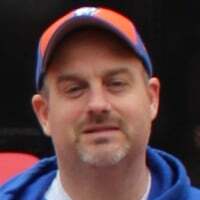 Since then we ran a public display at Lyndhurst Castle, have built Brand Ribbon models for the Queens and Long Island LEGO Stores, volunteered at the Grand Opening Building Events at those 2 stores, had a public library display in Massapequa and are in charge of 5 LUG Showcase Displays. One of our members has conducted LEGO workshops for kids at local libraries. One of us is at Brickmagic this weekend and we have attended Brick Fair and will be attending Brick Fair once again this year. Anyone interested in joining/learning more visit ilugny.com or send me a flickrmail (I'm notenoughbricks). 68 active members participating in about 7 shows each years plus 4 regular meeting somewhere in the province of Quebec. United States, Indiana - "IndyLUG"
just wanted y'all to know you've got at least one member here. getting ready for Brick Fiesta ! texas' first lego con as far as i know. New website for ILUGNY. We felt that since we are not a commercial interest we would be better off having ilugny.org as our website. shows, and enjoying knowing more people who like to build just like they do. I haven't been there yet, but it doesn't seem like a very large group from scanning the site. In addition, I'm hoping to start a group in the Fox Cities/Northeast Wisconsin area. Anyone interested please PM me and I'll add you to an email list. Once we find enough interested people we'll try for a real world meeting (and get a website). Any In Australia???? Specifically SA? There was an attempt to start one in Adelaide (AdeLUG), but I think it stalled. Also, in general, this discussion on Flickr. Thanks all. I'm on my mobile at the moment so it's too unwieldy to edit the list with your additions, but I'll take care of it the next time I'm at my desk. This thread has been a great help for me trying to update the Brickwiki Fan Groups Category. I am slowly working my way through so soon it will be up to date. Thanks! Sorry but http://luxlug.net is no longer active and has changed to afol.lu. A constanly growing afol community in Luxembourg/Europe. LUG Notts is new and small but we hope to continue slowly expanding. ToroLUG's been around a couple of years now and does most (all?) of the displays in LEGO Retail Outlets in the GTA. DelVaLUG in PA has been around for about 10 years. But I don't see it on your list any where. Can this topic be pinned so it stays on top? Might make it easier to for people to find. It's pretty nice, though you might have to sign in with your LEGO ID. The site is still fairly new, and there have been some bugs, but the intent is for this to be an up to date and publicly accessible resource for the AFOL community.